Shivaji belonged to the House of the Bhosales. There are many families in Maharashtra with the surname Bhosale, but not all of them can trace their lineage to the royal Bhosales (who were later the successors to the thrones of Satara and Kolhapur). Their most famous son was Shivaji raje Bhosale, also the progenitor of their aristocracy. One of Shivaji's early known ancestors was his great-grandfather, Babaji Bhosale. He was the headman of the villages of Hingane Beradi and Diwalgaon in Pune district (or Poona or Puna, in the modern state of Maharashtra ). His sustenance mainly depended upon his farm fields and his income as the headman of the villages . Both Maloji and Vithoji had some friction with the locals in their village, and shifted with their entire family to Verul (Ellora in Aurangabad district, in Maharashtra). The land there wasn't very conducive for farming and both the brothers sought service in the army of Lakhujirao Jadhav (Lakhuji Jadhav was a noble in the Nizamshahi army of Ahmednagar, his jagir being Sindkhedraja in present day Buldhana, Maharashtra. He also claimed lineage to the royal family of the Yadavas of Devagiri). Due to their bravery, the brothers rose through the ranks in Lakhuji's army . Then the story goes this way, that in a 'Holi' function (the festival of colours), Lakhujirao praised the handsomeness of the young Shahaji, son of Maloji (from his wife Umabai, from the family of the Nimbalkars of Phaltan, also serving in the Nizamshahi. It is to be noted that Maloji was childless for a long time and he had two sons, Shahaji and Sharifji, after blessings from the Sufi saint Baba Shah Sharif and was therefore named after the sufi saint). Lakhujirao even mockingly said that the young Shahaji and his little daughter Jijabai would make a fine couple. But these words were taken too seriously by Maloji Rao Bhosale. He proudly pointed out this incident in public, which irked Lakhujirao Jadhav no end. An indignant Lakhuji Jadhav promptly dismissed Malojirao from his services, after rebuking Maloji for dreaming that the son of a 'shiledar' can marry the daughter of a 'sardar' (a shiledar is just higher than a common soldier in the hierarchy, and is someone who has his own sword and horse, besides what is given to him by his master, while a sardar is a noble - the author and historian, Vaidya, says that Lakhuji declined to accept Shahaji as his son-in-law despite his wife's protests). Humiliated, Maloji retreated to his village in Verul. Meanwhile he had also become the headman of his village. The brothers spent the next few years tilling their fields. Then one day Maloji noticed a snake coming out of a hole in his field. As per popular superstitions, snakes are said to guard hidden treasure, so Maloji began digging. To his joy he found seven pots of gold coins. He wisely lodged them at the house of a local banker named Punde at Chamargunda . He called over his brother, and together they bought horses, saddles, arms, tents and employed a thousand troops. With his small army, Malojirao (and his brother Vithoji), aligned himself with his in-laws, the Nimbalkars of Phaltan, and entered directly into the service of the Nizamshah of Ahmednagar. 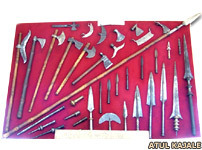 They participated in many a battle against the Bijapuris and the Mughals (there were conflicts with the Mughals during the early seventeenth century when Akbar's forces invaded Ahmednagar), who were constantly at war, trying to gain each others' territories. They fought under the command of the famous Abyssinian general of Nizamshah, Malik Ambar, and his fellow compatriot, Ranadaulla Khan (Khan i Zaman). That is where they honed their skills in the art of warfare. 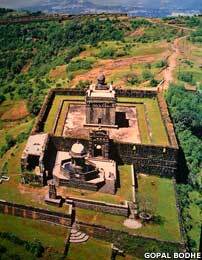 Malojirao also spent a large portion of his newfound wealth in the construction of several temples, giving alms to the poor and the Brahmins, and also for excavating a large tank on the arid Shambhu Mahadev hill in the Satara district. This brought him a lot of praise from the pilgrims who flocked to this holy place. The Bhosales had by now grown in stature in the Nizamshahi court. The courtiers and the king had even managed to persuade Lakhujirao Jadhav to give his daughter Jijabai's hand in marriage to Malojirao Bhosale's son, Shahaji, something to which Lakhuji reluctantly agreed. As per author historian C V Vaidya, Babaji Raje Bhosale then was the feudal lord of Pande Pedgaon and the same fief continued for a time in the possession of Maloji. Indeed Maloji was still associated with Babaji in its possession in 1596.He had two sons: Maloji Bhosale, the eldest, and Vithoji, his younger sibling. Some derive the Bhosale name from Bhose, a village in the Verul district where the family first settled, and Bhosala means 'of or from Bhose village'. Extract C V Vaidya. Source Rajwade Khmnd XV, No 370. After Malojirao's death, the army of the Bhosales was commanded by his younger brother, Vithoji (Vithoji had eight sons, 'four have been found to be in Mughal service at the beginning of Shah Jahan's reign: Kheloji Parsuji, Maloji II, and Mambaji ). Later, after Vithoji's death in 1623, the army was commanded by Maloji's son, Shahaji Raje Bhosale . Meanwhile, Malik Ambar, who had even humbled the might of the Mughals, died in 1626. He was succeeded by his son, Fateh Khan, as the next regent of the Nizam Shah of Ahmednagar. Shahaji was deputed by Fateh Khan to raid East Khandesh against an invading Mughal force, and Shahaji displayed great valour there. Friction soon developed between Fateh Khan and his king and Fateh Khan was placed under arrest. This was a time of political intrigues amongst the various nobles of the Nizamshahi court. Sensing the coming chaos, Lakhujirao Jadhav had left the services of the Nizamshahi and had joined the Mughals (authors like C V Vaidya have put forward the fight between the Bhosales and the Jadhavs (as mentioned below in detail), and the subsequent siding of Malik Amber with the Bhosales, as the cause for Lakhujirao's disenchantment with the Nizamshahi and his desertion to the Mughal camp). Disenchanted, he soon returned to the Nizamshahi court. However, the Nizam wasn't ready to forgive and forget, and he murdered Lakhujirao along with his sons in the very court in which they had once served. Angry at the treatment meted out to his father-in-law, Lakhuji Jadhav, and his sons, Shahaji left the Nizamshahi's services. 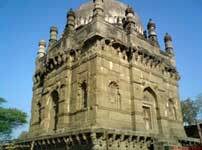 He rebelled against the Nizamshahi and tried to seize the country between Junnar and Ahmednagar. Later, he joined the service of the Mughals. He served there for a year and half (from the end of 1630 to June 1632), but finding little scope amongst the largely predominant north Indian courtiers, he left and joined Adil Shah I of Bijapur, who had been eyeing the brave warrior for a long time (but Vaidya states that Shahaji's cousins had grown jealous of him, and created bad blood between him and the rulers of the Nizamshahi, hence Shahaji moved over to the Adilshahi camp). There his courage impressed Adil Shah I and his deputy Murar Jagdev. But Adil Shah I died within a year. He was succeeded by his son, Adil Shah II. This Adil Shah was ill-disposed towards his Hindu nobles and had Murar Jagdev murdered. Shahaji, sensing the danger to his own life, left the services of Adil Shah II. At some point in 1629, the Mughals were preparing a renewed attack on the kingdom of Ahmednagar (after Khan Jahan Lodi, the governor of the Deccan, had rebelled against the Delhi court and had sought refuge in Ahmednagar). Scared, the Nizam Shah (Burhan Nizam Shah) released Fateh Khan and made him regent again. But this time Fateh Khan had his master murdered (Feb 1632) and installed a puppet successor named Hussain Nizam Shah in his place. Fateh Khan therefore became the de facto ruler of the Nizamshahi kingdom. He even invited Shahaji Raje Bhosale to be the commander of his forces. Shahaji accepted the offer. Fateh Khan bought temporary peace by accepting vassalage from the Mughals. But secretly he desired freedom from the Mughal yoke. He simultaneously opened diplomatic channels with the Deccan kingdoms of Bijapur and Golkunda in an attempt to unite them against the Mughals. 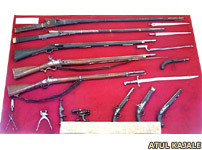 Source Sir Jadunath Sarkar - Abdul Hamid. It is certain that Maloji died at about the end of 1528 or in the middle of 1606 as in a sanad of 'ravan'. In 1529, we have the mention of Maloji as being deceased and subsequent documents mention Vithoji alone. 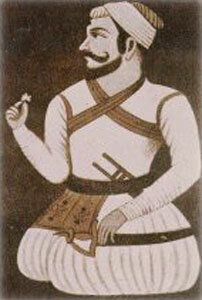 Maloji is said to have been killed in the Battle of Indapur, fought by the Nizamshahi forces against Bijapur. With Vithoji dying some time afterwards, the leadership of the family fell naturally to Shahaji, son of the elder Maloji, along with his brother Sarfoji and his eight cousins (the sons of Vithoji). Extract C V Vaidya. When the Mughal emperor, Shah Jahan, discovered Fateh Khan's duplicity, he ordered his general, Mahabbat Khan, to attack Ahmednagar. The Mughals came down heavily on Fateh Khan and he was soon defeated and captured. 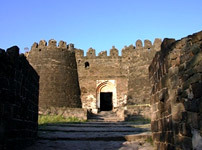 Fateh Khan and Hussain Nizam Shah were sent as prisoners to Delhi, and Ahmednagar was formally annexed to the Mughal empire. But nobles like Shahaji Raje Bhosale refused to submit to the Mughals. He rallied the forces of Ahmednagar under him and installed the young Murtuza III (a descendent of the Nizamshahi), as the successor to the throne. Shahaji acted as his regent. He once again retrieved several captured districts from the Mughals including North Konkan. He repossessed more than a quarter of the old Nizamshahi territory with Bijapuri help (with a revenue worth two million (or twenty lakh) 'Hun' coins), and even thwarted Mughal attempts to seize Parenda. He ruled on behalf of the young king for three long years. This time the Mughals decided on another strategy. Shah Jahan sent peace overtures to the Bijapur court. Both reached a pact in which they decided to jointly invade Ahmednagar and split the spoils of the war amongst themselves. Shahaji was isolated and completely outnumbered. Shahaji was given the territory of Bangalur (Bangalore in state of Karnataka ) as his jagir (estate). He was also allowed to keep his estate of Pune and Supa. Shivaji was born to Shahaji and his wife Jijabai, during Shahaji's tumultuous period (Shivaji was born on 18 February 1630 as per Jedhe Shakavali and referenced by Tilak, Shiv Bharata, and the Tanjore stone inscription, against another date given by author and historian Grant Duff on the basis of the bakhars, who gave Shivaji's date of birth as 3 May 1627). 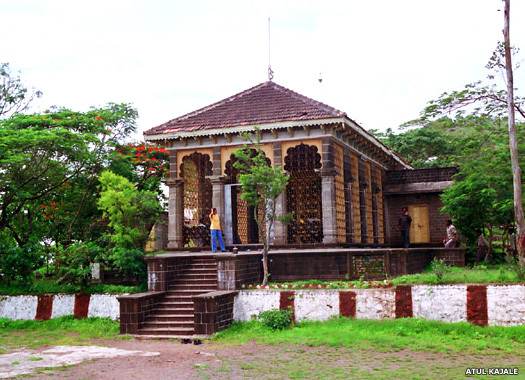 The birth occurred in Fort Shivneri (which was under the care of Vishwasrao, a relative of Shahaji's), while Shahaji himself was busy fighting the Nizamshahi forces. While Jijabai gave birth to Shivaji, at the fort of Shivneri, Shahaji was on the run from his father-in-law, Lakhuji, both being in opposite camps. For some time there had been friction between Lakhuji and Shahaji. Maratha sardars were attending a Durbar (court session) of the Nizamshah. While they were departing the palace, each one trying to crowd out the others, the elephant of a sardar named Khandagale became unruly and trampled some footmen to death. Dattaji, son of Jadhavrao, attacked the elephant, and a skirmish began between him and Khandagale, with the latter being assisted by the sons of Vithoji. A duel ensued between Dattaji and Sambhaji, son of Vithoji, in which Dattaji was killed. Lakhji Jadhavrao, who had already departed, heard the terrible news of his son's death and, infuriated, returned to attack Sambhaji. Shahaji now went to the help of his cousin Sambhaji and a battle was fought which saw Sambhaji killed. On hearing of this scuffle, the Nizamshah himself came out, and, intervening, he separated the combatants. Thus began that enmity between Jadhavrao and Shahaji, according to Shiva-Bharata, which the Bakharkars have wrongly carried back to the time of Shahaji's marriage with Jijabai. One result of this scuffle was that Jadhavrao thought that the Nizamshah was unduly in favour of the Bhosales, and he left his service and went over to the Moguls. This desertion was taken advantage of by Adilshah, who invited the Moguls to attack the Nizamshahi from the north while he attacked it from the south. A battle was fought between the two sides at Bhatavadi in 1624. This was the time when Shahaji found himself besieged by his father-in-law, Lakhujirao, and he sent his pregnant wife to the safety of Fort Shivneri where she gave birth to Shivaji. Shiva-Bharata gives a detailed description of this battle and mentions by name the many captains in the three armies, namely of Delhi, Bijapur and Ahmednagar. Eventually Malik Amber obtained a signal victory over the two allies, Muila Mahmad, Sar-Lashkar of Bijapur, being killed and many captains of the Mogul and Bijapur armies being taken prisoner. The Bhosales fought bravely on Malik Amber's side, Sharifji (Shahaji's brother) being among the slain in the army of Ahmednagar. This was Shahaji's first brilliant exploit on the battlefield. The battle is referred to in a letter of Pedro, an Italian traveller, dated 31 October 1624 which supports the account of Shiva-Bharata and may therefore be taken to have been fought some time in the middle of that year. It is probable that at this time Shahaji received as a reward the mokasas ('inams' means reward while 'jagirs' means estates) of Poona and Supa, which were beyond the Bhima and which were, as stated before, the subjects of frequent conflicts between Ahmednagar and Bijapur. Shahaji was appointed Sar-Lashkar or general in the Ahmednagar army. Shiva-Bharata relates that the sons of Vithoji became jealous of Shahaji's greatness from this point. Malik Amber seems to have supported Shahaji's cousins in the quarrel, as it was in his interests to encourage disputes in the powerful sardar's families. Shahaji was dissatisfied and he retired to Poona where he built a house for himself. From there he was invited by Ibrahim Adilshah to enter his service and Shahaji with his followers became an Adilshahi sardar. This is supported by a document dated 19 December 1625, in which Shahaji is contemptuously described as 'Shahaji Bhosala, Adilshahi'. Another document, a sanad dated 28 July, describes him, however, as 'Meherban Shahaji Raje Sarlashkar'. Both these documents relate to the Poona District and show that in July 1625, Shahaji was a Sarlashkar or commander of forces in the Nizamshahi and enjoyed the fief of Poona. In December 1625 he was in the Adilshah's service and Poona had been taken away from him. Shahaji rendered important services to the Adilshah by conquering Mudhoji of Phaltan and some refractory chiefs in Karnatic and in Keral. He remained in the Adilshah's service from about October 1625 to about the end of 1627. From a document dated 10 January 1626, it appears that he was then a Sarlashkar in the Adilshahi, and at his request the Adilshah granted the desagata of Talebid and some rights to the fort of Panhala to Sambhaji and Dharoji Mohite. These were probably relatives of Shahaji's second wife who belonged to the Mohite family. In May 1626 Malik Amber died and about a year or so after Ibrahim Adilshah had also died. The former was succeeded by his son Fattehkhan, who was favourably disposed towards Shahaji, and the latter by Mahomed Adilshah who was a staunch Shia and an intolerant Mahomedan. The change of policy initiated by the latter shall be covered in due course; but Shahaji now thought it safe to leave his service and go to the Nizamshah, his old master. He received back his Poona mansab to which was apparently added Patas. It also seems that the Nizamshahi was threatened at this time by Shahjahan and Shahaji, being called by the Nizamshah, thought it proper to join his old master. The Poona pergana with Patas was given him again and he was sent against the advancing Mogul force. Shahaji remained in this service till the fall of Nizamshahi in 1636, with the exception of a short interval, when he had gone over to the Moguls (covered below) . Source for text on Shivaji's birth to 1636 inclusive: C V Vaidya. From Jijabai, Shahaji already had an elder son in Sambhaji. When settled in Bangalore, Shahaji took on a second wife called Tukabai, from the Mohite family. 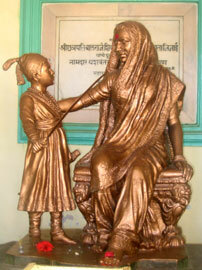 This act has been attributed as the reason why Jijabai moved away, along with her son, Shivaji, to their estate in Pune. But historians differ on this. Some say that it was regular practice in those days for people of higher social standing to have more than two wives, so Jijabai couldn't possibly have been displeased on this account, and she had agreed to move to Pune only to manage Shahaji's estates there (because, as per the treaty with Bijapur, Shahaji wasn't to enter the boundaries of the old Ahmednagar kingdom lest he decided to rebel again). Sambhaji stayed on with his father Shahaji, and his stepmother, Tukabai, while Shivaji grew up in the wild lands of Pune under the care of his mother, Jijabai, and his guardian (and the manager of his estates), Dadoji Kondeo. Later, when Shivaji grew into manhood, he challenged the very court of Bijapur, where his father Shahaji was a courtier. In all probability Shahaji supported his son's activities, due to which, for a brief period, Shahaji even had to face confinement in Bijapuri prison. The Bijapuri forces even invaded Shahaji's estates at Bangalore and Pune. But his brave sons, Sambhaji at Bangalore and Shivaji at Pune, stoically repelled these attacks. Soon the Bijapur court reached a compromise of sorts and Shahaji was released from prison. During this period Sambhaji was killed, treacherously murdered as historians say, by Afzal Khan, a fellow Bijapur courtier and Shahaji's most bitter rival. But Shivaji had his revenge when he killed Afzal Khan in an later encounter. Shahaji's son Ekoji (or Vyankoji) from Tukabai went on to establish the royal Bhosala dynasty at Thanjavur (in Tamil Nadu state, south India). Shahaji died in an accident when he was thrown from his horse. Shahaji died in 1665. There are different versions of the Bhosale origins. Some (including Shivaji) claimed descent from the Sisodiya clan of Chittor, in Rajasthan, while one historian, Dr Ramchandra Dhere, has even claimed their origins from the Hoysalas of Karnataka (Bhosale-Bhosala being a distortion of Hoysala). But the Rajput theory seems better documented. Lakshmana simha - Sajjana simha (reaches Maharashtra in 1310) - Dilip simha - Shivaji I - Bhosaji - Devarajji - Ugrasena - Mahulaji - Kheloji - Janakoji - Sambhaji - Babaji - Maloji - Shahaji - Chatrapati Shivaji. Lakshmana simha - Sajjana simha (reaches Maharashtra in 1310) - Dilip simha - Simhaji I - Bhosaji - Devarajji (came to southern India) - Indrasenji - Shubhakrishna - Rupaji- Bhumindraji - Dhapaji - Barbatji - Kheloji - Jaya - Karna - Sambhaji - Babaji - Maloji - Shahaji - Chatrapati Shivaji. Note: From an enquiry by Pandit Sukhdeo Prasadji, prime minister of Udaipur, it appears that "the name Bhosaji, does not occur in their genealogical tables nor is it common among Rajputs". It is probable that this name was inserted by pedigree-writers to explain the surname . Venkoji - Sharabhoji (came to southern India) - Mahasena - Ekashiva - Ramachandra - Bhimaraya - Ekoji - Variha - EkojI II - Brahmaji - Shahaji - Ambaji - Parasoji - Babaji - Maloji - Shahaji - Ekoji or Vyankoji (first Maratha king of Thanjavur). Bakhtaji (came to southern India from the north) - Nagoji - Ekoji/Vyankoji - Babaji - Maloji - ShahajI - Sambhaji (elder brother of Shivaji) - Umaji - Parsoji (may not be a real son) - Jintikar Bhosales. 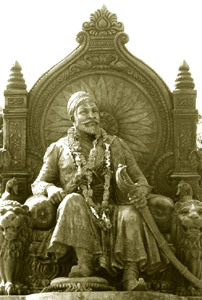 Ajay simha - Sajjana simha - Dilipa simha - Shivaji I - Bhoraji - Devaraj ji - Ugrasena - Mahulji- Khailuji - Janakoji - Sattuji - Sambhaji - Chatrapati Shivaji. Lakshmana simha - Ajaya simha - Sajjana simha - Dilip simha - Sidhoji - Bhairoji (Bhosaji?) - Devarajji - Ugrasena - Shubakrishna. Shubha Krishna - Roop singh - Bhoomi - Dhaapji - Barbhatji Khalkarn (Khalaji) - Jaikarna Sambhaji - Babaji - Maloji - Shahaji - Chatrapati Shivaji. Maharana Laxmansingh - Sajjan singh - Dilip singh - Sinhaji - Bhosaji - Devrajji -Indrasen. Note: the genealogy given by Chitnis says that Devarajaji, son of Bhosaji, came to the Deccan in about 1415. Khelkarna - Jaikarna - Maalkarna - Sambhaji - Babaji - Maloji - Shahaji - Chatrapati Shivaji. Maharana Lakshman singh - Ajay singh - Sajjan singh - Dilip singh - Sinhaji-Bhosaji -Devaraj-Indrasen (Ugrasen). Sajjan singh - Dilipsingh - Sinhaji - Bhosaji - Devarajji - Khelkarna. Shivrao Chittodkar - Bhimsingh - Vijaybhanu - Khelkarna - Jayakarna - Mahakarna -Raja Shiv - Babaji - Maloji - Shahaji - Chatrapati Shivaji. Note 1: the 'Rajput Theory' puts forward an alternative version of Shivaji's history, and this is available to read via the link in the sidebar, right. Note 2: As per the History of the Marathas by C A Kincaid and Rao Bahadur D B Parasnis, Lakshman Singh was the ancestor of the house of Udaipur. One of the family, Devrajji by name, fled to the Deccan after a quarrel with the Rana of Udaipur. There he and his descendants assumed the name of Bhosle from the family fief of Bhosavat in Udaipur. Another story is that two brothers, Kheloji and Malkamaji or Maloji, came together from Udaipur to offer their services as free lances (hence the word freelancer) to the king of Ahmadnagar. Khelkamaji or Kheloji died in battle. Malkamaji was drowned while bathing in a river. 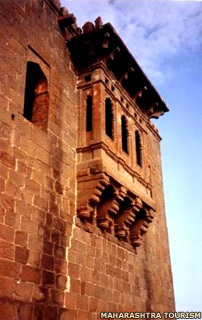 Malkamaji's son Babaji purchased the Patilki or headship of the village of Verul near Daulatabad. Babaji had two sons, Maloji and Vithoji, who were the real founders of the greatness of the Bhosle family. All genealogies are pretty conflicting, but there is a common lineage amongst all the Maratha genealogies, ie. from Babaji to Maloji to Shahaji to Shivaji. There is a lot of controversy about whether the Bhosales were indeed descendents branching out from the famous rajput clan of the Sisodias. The Sisodiyas in turn claim to belong to the earliest of the ruling dynasties (the 'Suryavanshis' or descendents of the Solar dynasty from Ishvaku and the Raghu vanshis of the Ramayana) from ancient India. 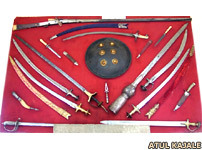 The Sisodiya clan boasts of great kings like Rana Sangha and Rana Pratap and a connection from them to the reviver of Hindu fortunes (Shivaji) after a long period of Islamic rule is indeed remarkable. Shivabharata of Paramananda: Shivaji and Shahji are of the Ikshvaku lineage, just like the Sisodiyas. Parnalaparvata grahanakhyana states that Shivaji is a Sisodia. Hindi poet Bhushan speaks of the Bhosales being Rajput. In his letter to Sultan Adilshah, Shahji states he is a Rajput. Mughal historian Khafi Khan describes Shivaji as a descendent of the ranas of Chittor. (Khafi Khan was a very harsh critic of Shivaji and has even personalised his accounts, condemning Shivaji to hell. Khafi Khan has claimed that though Shivaji's ancestors did come from the family of ranas of Chittor, they (Dilip Singh) were their illegitimate offspring. But Khafi Khan was a Islamic historian and most of his accounts of Shivaji are very harsh and biased). An intelligence dispatch by the East India Company from 28 November 1659 reports: "Sevagy (Shivaji), a great rashpoote (Rajput) issues forth from his fort of Rayguhr (Raigad) to strike blows on the emperor, Duccan, Golconda and the Portuguese". Tod and Ojha, who had access to the Rajput records, claimed that as per those records there is a mention of the Bhosles descending from Ajay Singh, the uncle of Vir Hammir. Radha Madhava Vilasa Champu by the poet Jayarama (written in the court of Shahaji at Banglur, 1654) describes Shivaji as descending from the Sisodias of Chittor. Jayarama's poetry was composed much before Shivaji's coronation. Note: We find that this same Rajput descent has been mentioned by Jayaram who, years before Shivaji's coronation, wrote a poem on Shahaji. Therein he says that Shahaji was descended from Dalip, born in the family of the Rana who was the foremost among all kings of the earth. This Dalip was, we find, a grandson of Lakshmanasen, rana of Chitod, who came to the throne in 1303. One of those sons of Ajay Singh, Sajjan Singh, founded the Bhosale clan in Maharashtra. Sajjan Singh was considered to be the patriarch of the Nagpur Bhosales. According to the Chitnis bakhar, after the death of Shivaji, (with his sons, Sambhaji under house arrest in Panhala and Rajaram being absent), Sabaji Bhosale of Nagpur, who was serving in Shivaji's army, performed the final rites for Shivaji, which is possible only for a relative. Moreover, Shahu, Shivaji's grandson was childless, so he wanted to make one of the Nagpur Bhosales his successor (to the Maratha throne of Satara), before finally settling for Rajaram's descendent, as he was closer from amongst Shahu's kin. Again this can be possible if the Nagpur Bhosales were indeed relatives of the Bhosales of Satara. From this it can be seen that there are several reasons for the theory that Shivaji did indeed have Rajput genes and those of the Sisodiyas in particular. Kincaid, C A & Rao Bahadur D B Parasnis - A History of the Maratha People, Humphrey Milford Oxford University Press.